Wollongong, informally referred to as "The Gong", is a seaside city located in the Illawarra region of New South Wales, Australia. 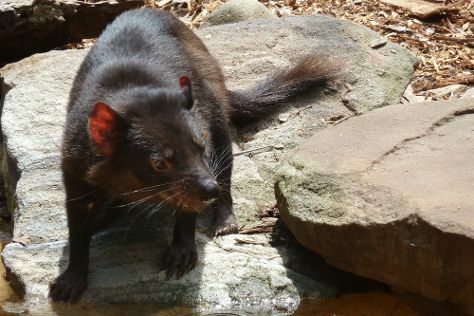 Kick off your visit on the 19th (Fri): learn about wildlife with up-close encounters at Symbio Wildlife Park and then take in nature's colorful creations at Wollongong Botanic Garden. To see maps and more tourist information, go to the Wollongong journey planning app . Sydney to Wollongong is an approximately 1.5-hour car ride. You can also take a train; or take a bus. Traveling from Sydney in April, you can expect nighttime temperatures to be a bit cooler in Wollongong, with lows of 13°C. On the 20th (Sat), you'll have the morning to explore before heading off to Nowra. Nowra is a town in the South Coast region of New South Wales, Australia. On the 20th (Sat), see the interesting displays at Fleet Air Arm Museum and then browse the eclectic array of goods at Nowra Fresh Fish & Meat Market. To find reviews, traveler tips, photos, and more tourist information, refer to the Nowra online visit planner . Traveling by car from Wollongong to Nowra takes 1.5 hours. In April, daily temperatures in Nowra can reach 26°C, while at night they dip to 14°C. You'll have a few hours on the 21st (Sun) to wrap things up before traveling to Canberra. 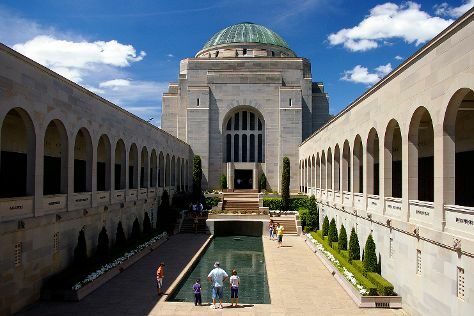 Start off your visit on the 21st (Sun): take an in-depth tour of Australian War Memorial and then ponder the world of politics at Parliament of Australia. To see ratings, maps, other places to visit, and more tourist information, you can read our Canberra trip itinerary maker website . Getting from Nowra to Canberra by car takes about 2.5 hours. Plan for a bit cooler nights when traveling from Nowra in April since evenings lows in Canberra dip to 7°C. You'll have a few hours on the 22nd (Mon) to wrap things up before traveling home.